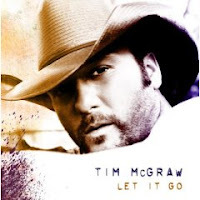 This disappointing effort from country star Tim McGraw contains only two essential tracks: the 70's-ish "Suspicions" and the duet with wife Faith Hill titled "I Need You". The rest, including current single "Last Dollar (Fly Away)" with its hokey ending, is either sub-par or outright filler. A step down from previous efforts like "Set This Circus Down" and "Live Like You Were Dying". I haven't heard the album, but I previewed the tracks yesterday on Walmart.com - they sucked. Reminds me of that gong show of an album he released a few years ago - "Tim McGraw & the Dancehall Doctors". Agreed ... maybe three half-decent tracks on that one, too. Would you still go see Tim with Faith Hill in concert, Hammer? I have two tix to their June show here in Ottawa, so yes.